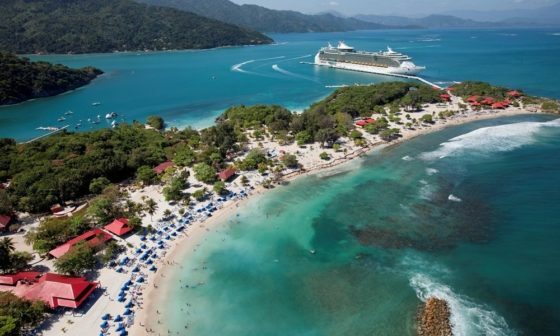 Labadee is a private beach resort that features pristine beaches, coral reefs and lagoon-like bays surrounded by forested mountains. 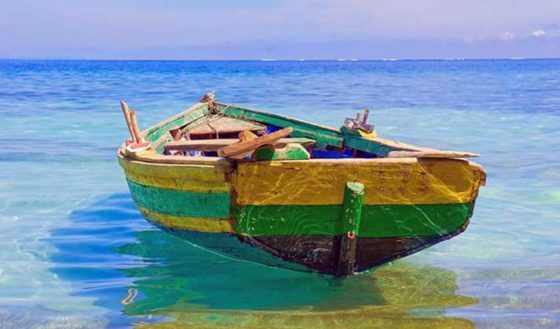 Relax and recharge or take advantage of an array of water sports and activities. Cruise lines own several of these, so they are fairly controlled as far as vendors etc. 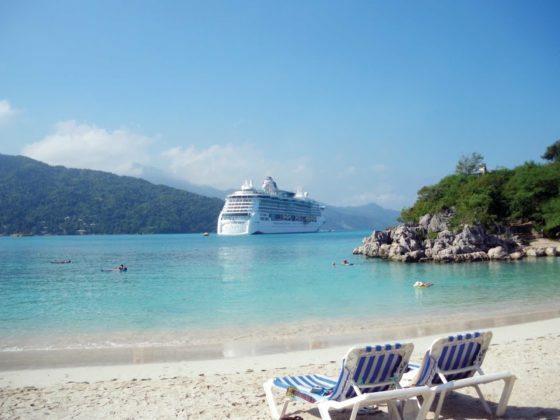 Everyone you will encounter in the basic area off the ship is actually employed by the cruiseline. 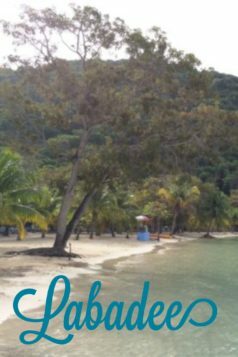 I have been to Labadee several times. It seems everytime I end up relaxing on the beach. 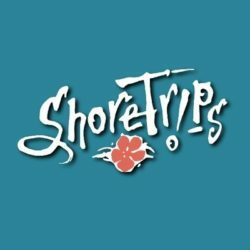 In my humble opinion, this is a great beach stop. We usually make a point to shop and walk through the markets. Beach day – On this trip we just stayed on the beach. It was nice, the water is very calm. 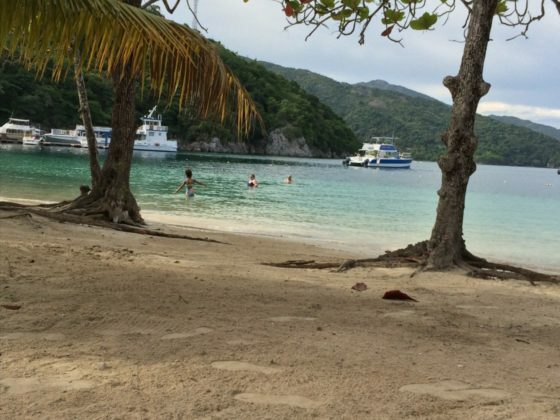 We asked the beach attendant for a great spot and he took us on a nice walk to Columbus Cove. 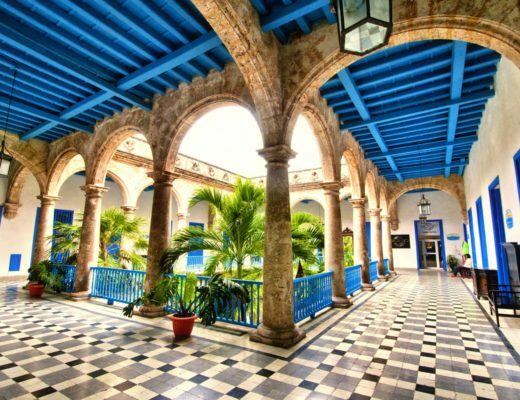 It is a nice location near a few shops and the dining area. The lounge chairs fill up quickly so you might want to get one first before you shop or explore. Dragon’s Tail Coaster – coast at 30 miles per hour on the thrilling ride featuring some of the best views of the private beach. Dragon’s Breath Flight Line, the world’s longest zip line over water. 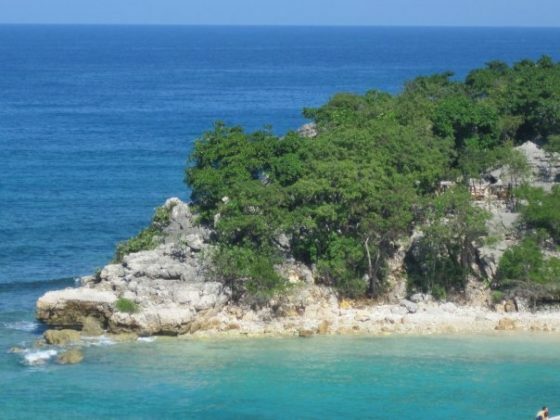 This zip line is 500 feet above the beaches of Labadee. 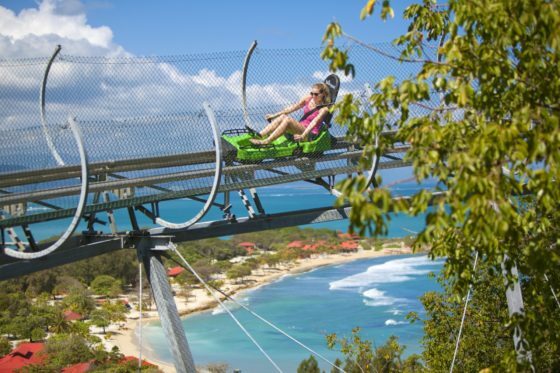 * While we have never actually zip lined in Labadee it is great fun to see it – you can stand under the zip line and watch the people riding it! Relax in a more private setting in the upscale sea view cabanas overlooking the action of Nellie’s Beach. 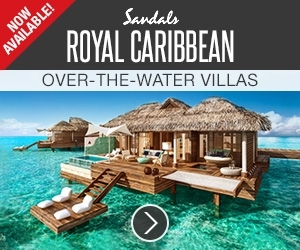 Each luxury cabana rental includes 2 floating beach mats, lunch buffet at Columbus Cove Café, Dragon’s Cafe or Café Labadee, water cooler with 6 bottles of water, the use of beach towels and the service of a cabana attendant. 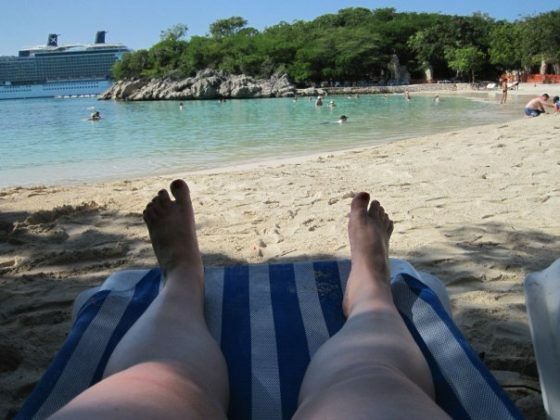 * (while we haven’t rented a cabana at Labadee we have in other ports – and it was a great experience). Shopping – This is set up a lot like a flea market. You can browse beautiful handmade local artwork, woodwork and crafts. You’ll want to bring cash so you can take home a special memento. 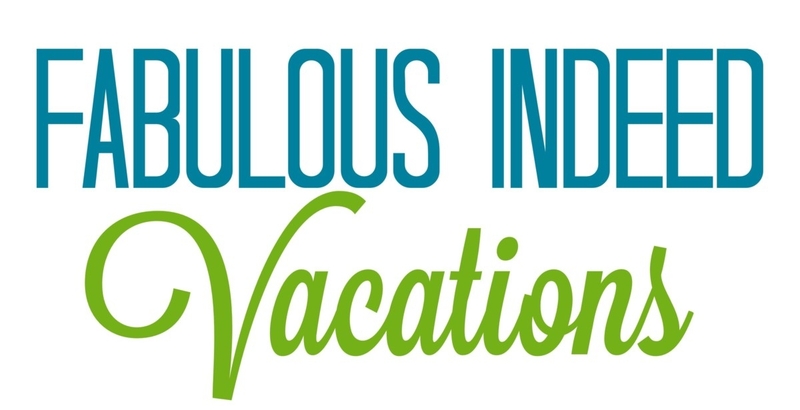 Choose from several open-air dining venues offering a delicious selection of BBQ, grilled hamburgers, hot dogs, fruits, vegetables, and refreshing drinks. 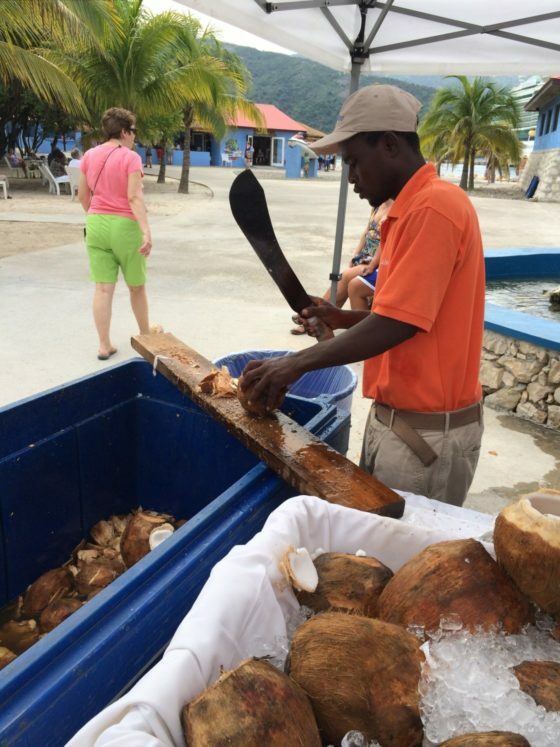 Bar service is easily available throughout Labadee. All private islands include a lunch in the port that is no charge. 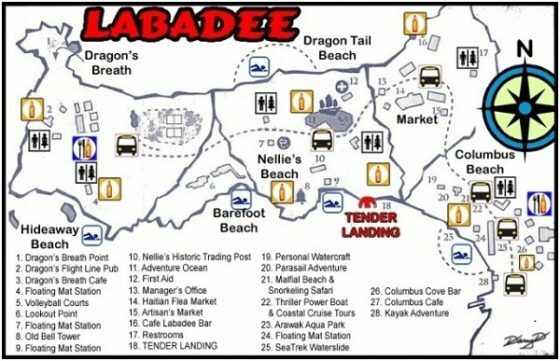 Apparently there is a local drink called the “Labaduzee” – I can’t say I had one – but if you are going soon – make sure to check it out! 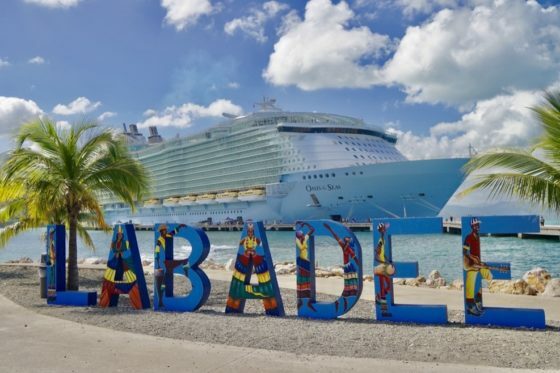 Are you headed to Labadee? 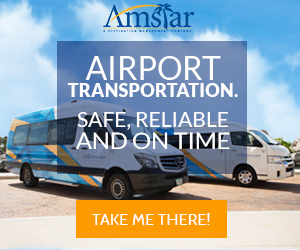 Contact us today to let us help you plan your day!